New videos are up on our YouTube channel! 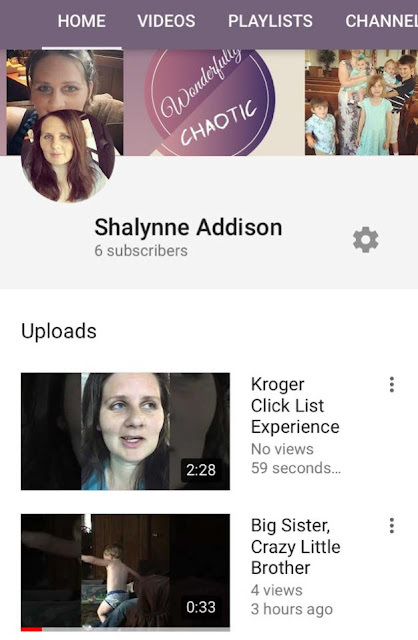 (https://www.youtube.com/user/zekesmom42) One is a silly short about Mister Hezzy Sam & his big sis and the other features our experience with Kroger’s ClickList. And if you like Kroger, be sure to check out their Instagram (@krogerco) where they’re doing giveaways every day this week & next! (This is NOT a sponsored/paid post, just a personal opinion.) Please go check out our new videos, like/share/subscribe, and/or let me know what you think!